Residents who need Missouri water damage restoration have a lot of questions. How long will water damage restoration take? Is the water dangerous? What about my floors? Unfortunately, the answers to these questions depend on several factors. These general answers will help you understand the factors that go into water damage restoration, so you’re prepared when the restoration team gives you your personalized answer. Unfortunately, this frequently asked question often has more than one answer. Mostly, it depends entirely on the seriousness of the damage. Water damage is difficult to assess even on sight. The major problems are caused by water that you can’t see. Water that’s soaked into furniture, walls, and floors poses a more serious problem than any puddles you find. Even your water damage restoration team won’t be able to tell you the exact time of completion until the cleanup process is underway. Only then can they feel confident that they’ve found any hidden spots of water. Most water damage jobs, on average, take two to three days to dry completely. However, damage from a more severe flood often takes longer. Moreover, the materials used to dry out the water also influence how long it takes. The only certain factor is that the sooner you begin the restoration process, the sooner your restoration will be complete. Again, this answer to this question depends on other variables. For safety’s sake, the short answer is yes. However, the longer answer is that there are two kinds of water damage: immediately dangerous and eventually dangerous. Immediately dangerous water is water that poses a health risk as it is. This is typically water that’s flooding in from outside and water that’s backed up through a sewer or otherwise contaminated area. If outside water is flooding in, you don’t know what could be in it. Steer clear, as bacteria has already contaminated any water coming through the sewer. Water that passes through a contaminated area is also dangerous. For example, if a clean water pipe bursts in your garage then oils and debris can contaminate the water on the floor. Other contaminants include solvents, weed killer, and other chemicals. If a clean water pipe were to burst in your kitchen, on the other hand, the leak is not immediately dangerous to your health. If you would usually drink or shower in the water, and you can find the source, so you know it’s not running through something, you’re fine for now. However, the longer the water is standing the odds are greater that it will become contaminated. Both bacteria and molds love standing water, and even insects can thrive in that environment. Clean water standing for more than 24-48 hours becomes suspect and could be dangerous. Yes, water damage ruins wood floors; but don’t give up hope too quickly. Most of the buckling and warping that wood floors undergo when they dry is the result of uneven drying. Water damage restoration professionals can work to set up optimum drying conditions. This helps the wood to dry back to its usual shape without twisting. This process isn’t 100% effective, but you may find your wood floors in better condition than you’d feared. Missouri water damage restoration isn’t easy. A lot depends on the specifics of your case. 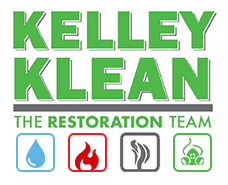 The one thing that you can count on is your water damage restoration team. Trust their experience, and get the answers to your pressing questions.